We help you keep you get secure — and stay secure. Whether you’re in LoHi or West Highland — or anywhere else across Denver — your security is always an important consideration. Here at Job Done Locksmith, our team is local to Denver, so we understand the area. We can help with everything from popping a lock when you accidentally lock your keys in the car to installing keyless entry locks for both residential and business purposes. We can even repair or install locks while maintaining the integrity of your historical home. As your local Denver locksmiths, we can do so much more than install and repair locks. Connect with us today to learn more and get 24-hour locksmith help any time you need us! For most of us, home is where everything important lives, so it’s essential to make sure your home is secure. Fortunately, the Job Done Locksmith team can help! 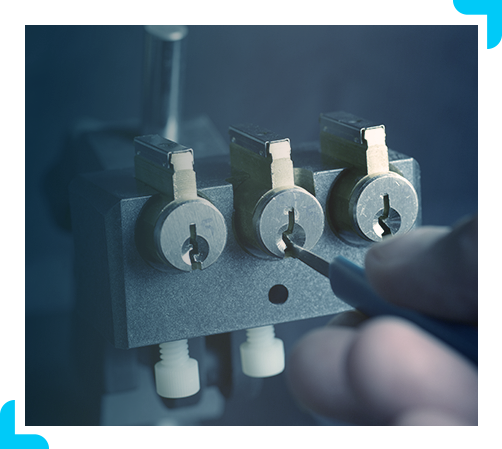 Our services start with standard things like rekeying, lock repair, and key cutting. But we also know how many older, historic homes there are around Highland. We specialize in lock servicing, repair, and replacement that maintains the integrity of your historic home so you can enjoy better security without doorknobs and locks that stick out like a sore thumb. Of course, our locksmith services aren’t limited to historic homes; we can help a whole range of standard locksmith services, too. Whether you need keys duplicated or you want to boost security by rekeying locks, we’ve got you covered. We can even check that your deadbolt locks were installed correctly and create a master key system for your home. Give us a call today to help with a whole range of lock and key services designed to help improve the security of your home! Accidents happen. We understand that locking your keys in the trunk of your car can feel like a major disaster in the moment. Well, don’t worry; our emergency locksmith services are here to help you shake off that accident and get back into your vehicle quickly and safely — no matter what time of day or night! We can pop a lock, rekey car door locks, extract broken car keys, and duplicate car keys to help you get on the road again. We can even duplicate or replace transponder keys and electronic key fobs, which can save you a lot of time and expense over waiting at your local dealership for the same service. Our local locksmith team can even help with motorcycle locks and keys! Whether foreign or domestic, car or truck, give Job Done Locksmith a call for 24-hour locksmith help in Highland and across Denver. The security of your business is just as important as that of your home — which is why the Job Done Locksmith team offers business locksmith services to businesses and commercial properties in LoHi, Highland, and across Denver. Despite all our technological advances, strong security still starts with well-installed locks. This is why our Denver locksmith team works with all manner of commercial locks as well as more high-tech security options. Give us a call for help with master key systems, keyless entry locks, and other standard concerns to provide your business with a strong starting point for better security. We don’t stop at just locks and key services, of course. Your local Denver locksmiths can help install card access control systems to help you better restrict access to certain areas of your business as needed. We also install and service keyless entry locks so you don’t have to worry about dozens of employees holding onto physical keys. Commercial properties have different needs than residential, so we’re well-versed in installing, servicing, and repairing alarm locks, panic bars, IC core locks, heavy-duty locks, and security systems with cameras. Whatever your business needs, our Denver locksmiths are here to help. We like to start our business locksmith services by assessing your security needs and providing you with a customized solution that works for your business. We’ll start by repairing broken locks, cutting new keys, or whatever else you need, but we are happy to also provide you with a more in-depth security analysis to help you improve security for your property and your business’s needs. Connect with Job Done Locksmith in Highland — zip codes 80202, 80211, 80212 — and across Denver today to get started!